We looked at the top 1 Soda Makers and dug through the reviews from 9 of the most popular review sites including Steamy Kitchen, BestReviews, New York Times Wirecutter, Digital Trends, Wired, The Spruce Eats, Groom and Style, Soda Maker Club, Get Soda Maker and more. 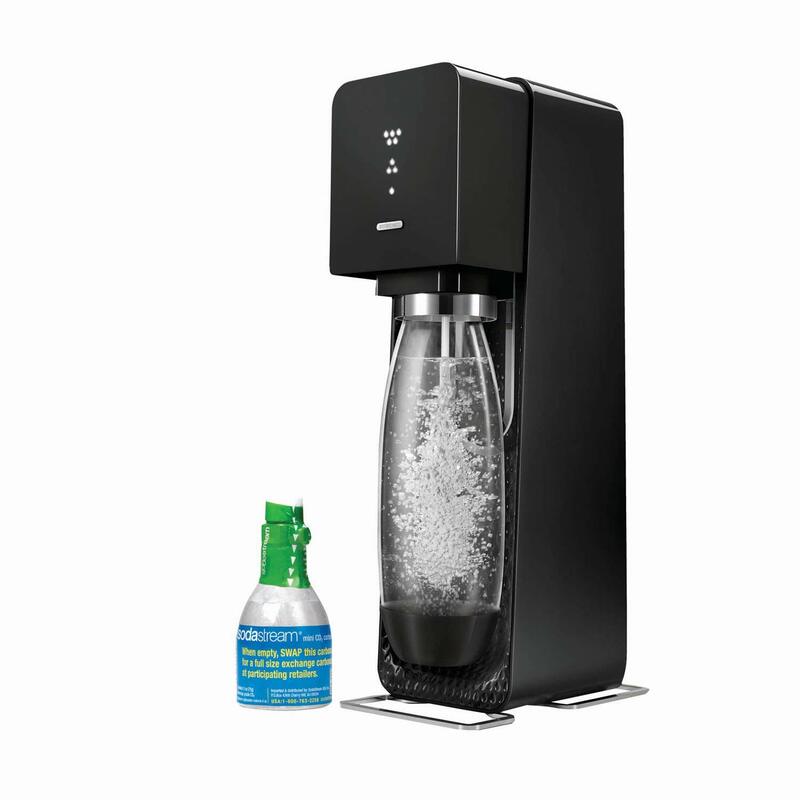 Through this analysis, we've determined the best Soda Maker you should buy. In our analysis of 64 expert reviews, the Drinkmate Drinkmate Soda Maker placed 6th when we looked at the top 8 products in the category. For the full ranking, see below. The gadget is very lightweight, making it easy to lift in and out of storage. Detachable fizz infuser makes it easy to insert the bottle for carbonation. This machine is the only countertop model we’ve found that can carbonate anything, we think it’s a great option for people who are interested in carbonating juice, wine, or premade cocktails in addition to water. It comes with a plastic bottle, a cap, and a Fizz Infuser. That’s the name for the special cap you attach to the bottle when you’re ready to fizz. Does a great job of carbonating wine, cocktails and many other alcoholic and non-alcoholic beverages without making a big, foamy mess. The kit includes a quick-connect bottle that has lines to indicate the proper volume, and a three-ounce CO2 cylinder. The Drinkmate is also different from the Soda Stream because of its “fizz infuser,” which lets you gently release the pressure inside the bottle once you’ve removed it and are ready taste the finished product. 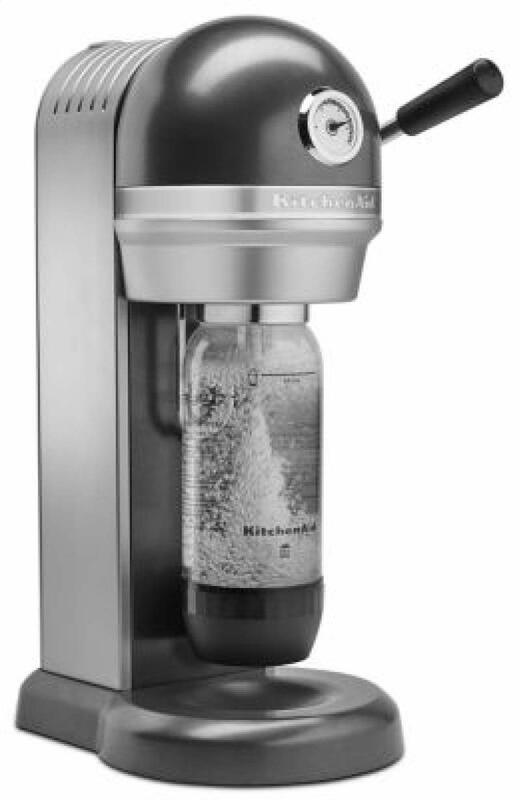 That eliminates any messy dripping, spitting or spraying when you just hit the release lever on a normal soda maker. The presence of the fizz infuser makes the DrinkMate easy to clean and us. What’s nice about the DrinkMate Carbonated Soda Maker is that it features a detachable fizz infuser that will allow you to control just how fizzy your drinks get. I really prefer glass bottles over plastic bottles. Plastic tends to transfer strong flavors. The Drinkmate was more difficult for us to use. Instead of just popping the bottle in, you need to remove the Drinkmate’s fizz infuser cap, secure it to the bottle, and then slide the bottle into the machine. If you hate hand washing dishes, you should be aware that iSoda advises against putting the bottle in the dishwasher. It can’t handle high heat, so you might not want to rinse it in scalding water, either. That is one drawback, especially when you’re filling the bottle with things like coffee, juice, and beer. CO2 tank refills rely on competitor SodaStream's expensive system. You’ll pay a higher price for this soda maker, though. Customers have also stated that the machine caused their soda water to have an off taste, and they knew for certain that it wasn’t the water that was used. Looking to cut down on sugary sodas? Or searching for the perfect new drink? Whether you want to make seltzer, soda or sparkling water, it’s time to get fizzy with Drinkmate. And you can go way beyond water. Drinkmate is the best 'soda maker' that can directly carbonate any cold drink. Juices, iced tea or coffee, lemonade, energy drinks, wine, pre-mixed craft cocktails, and even flat soda or beer. Drinkmate sparkles them all. Available in 3 colors to match your kitchen decor. Drinkmate appliances are powered by standard 10L (3 oz) or 60L (14.5 oz) CO2 carbonator cylinders. Check the product listing to order with or without CO2 supplies. DrinkMate carbonated Beverage Without CO2 Cylinder Matte Black Soda Make.